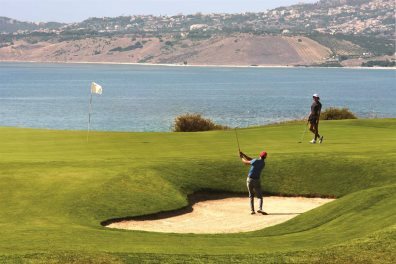 Sicily is perfect for golf holidays or just to sneak in a round or two on one of the days of your holiday. Two of our hotels have their own courses on-site, plus you can also book into the nearest golf course from our other accommodation choices. The Verdura Resort is a relatively new Rocco Forte golf & spa hotel, but already feels like a prestigious, well-established gem, offering fabulous facilities, exceptional service and access to one of the most beautiful and culturally rich areas of Sicily. Courses: 3 sea view links courses – 2 x 18 hole with 5 tee positions on each hole, and a 9 hole par 3, all designed by Kyle Phillips. 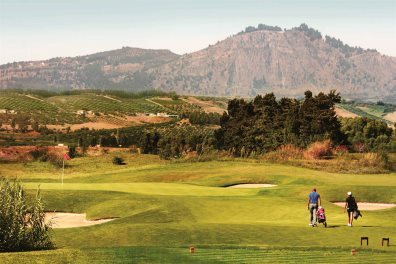 3 day endless pass from €115pppd (April price) including food, soft drinks, engraved bag tag, golf cap, yardage book & tee pack, shoe clean.